House Republicans are expected to approve a gigantic “H-2C” guest-worker bill on Wednesday that allows the nation’s food industry to employ one million low-wage, foreign guest-workers — regardless of how many Americans would lose their skilled or unskilled jobs in fields, orchards, cattle ranches, dairy farms, forests, seafood ports, meat-packing plants, and food processing factories. The huge wave of outsourcing “guest workers” would displace and cut wages for a huge number of blue-collar Americans, and also would slash incentives for agriculture companies to develop and manufacture European-style high-tech labor-saving gear, such as robotic cow-milkers, fruit pickers, and meat cutters. 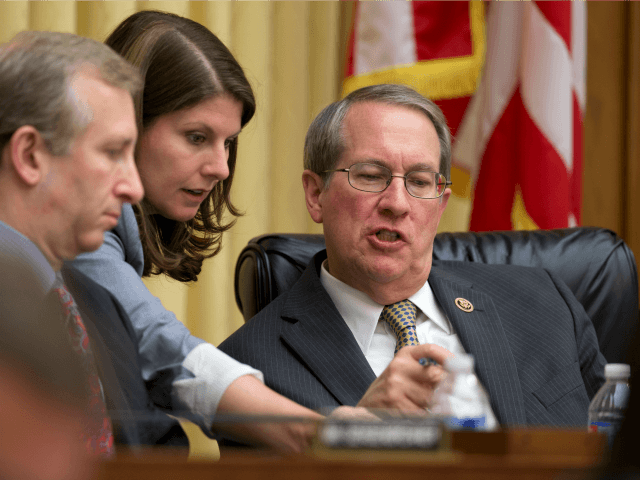 The H-2C bill is authored by Rep. Robert Goodlatte, the chairman of the House Judiciary Committee, whose members will vote Wednesday for the bill. His Virginia district includes several turkey and chicken processing plants which employ many low-wage migrants and new refugees. The H-2C guest-workers would be cheaper than Americans because they would be paid a little above minimum wage. Also, they would not get housing or transport costs, the Earned Income Tax Credit, or even a guarantee of full-time work, according to the bill. The guest-worker bill may also deliver cheap replacement workers to urban restaurants because it includes employees who process food “for further distribution.” That term is broad enough to include urban workers who prepare and package bulk food for use in restaurant chains which serve fast food or sandwiches. The proposed H-2C program is a logical expansion of the federal government’s longstanding business-first, cheap-labor national economic strategy. The cheap-labor policies allow millions of foreign workers to cross the borderline into the union of the 50 states to drive down costs and to boost stock values. The migrants include roughly 8 million employed illegal immigrants, millions of “EAD” workers, unemployed refugees, plus the H-1B, H-2A, H-2B, L, J-1 and other guest-worker programs, plus the annual inflow of 1 million legal immigrants who serve as both workers and consumers. 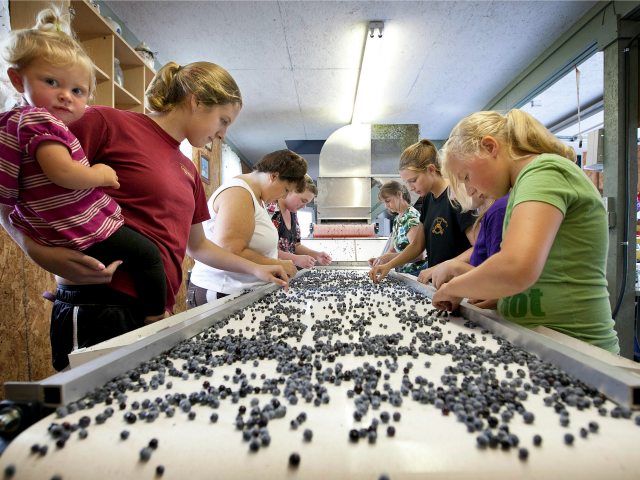 However, a majority of workers in the meat-processing, and roughly half of farm workers — were still native-born Americans, according to a 2009 report. All farm workers would be Americans or legal immigrants if the employment laws were enforced — but industry pressure on politicians has blocked enforcement for decades. Democrats are likely to oppose the H-2C bill because it mistreats employees — but also because it provides only 10,000 green cards per year to the agriculture workers, said Mark Krikorian, the director of the Center for Immigration Studies. If the H-2C farm-worker bill is combined with an amnesty and include more green cards, Democrats may fully support the exploitation bill, he predicted. The H-2C bill would likely get some support in the Senate, where business-first GOP Sen. Ron Johnson has drafted a bill that would provide annually work-permits to 500,000 more foreign workers, plus their families. For far too long, the broken H-2A guestworker program has buried American farmers in red tape and excessive costs without delivering access to a stable and reliable workforce. It’s clear that the current program is outdated and broken for American farmers, and it’s well past the time to replace it with a reliable, efficient, and fair program that provides American farmers access to a legal, stable supply of workers, both in the short- and long-term, for seasonal as well as year-round work. The bill is designed to provide the food industry with many cheap workers — while also preventing those imported workers from becoming U.S. citizens, or from having children born in the United States. That worker-to-citizen process has proved deadly for the Republican Party in Democratic-run California but also in Goodlatte’s home state of Virginia, where a large number of immigrants has turned the one GOP state into a Democratic-leaning state. The massive importation of wage-cutting workers is anathema to pro-American immigration reformers, such as Krikorian. They are trying to cut the supply of foreign workers so that Americans wages can finally rise above their 1973 levels. Not surprisingly, wages for crop production have climbed 13% from 2010 to 2015 — a higher rate than the state average, according to a Los Angeles Times analysis of Labor Department data. The tight labor market in agriculture is forcing up wages — and is cutting profits for investors. The S&P GSCI Agriculture Index shows that the stock value of major U.S. agriculture companies has dropped by roughly 40 percent since 2012. The bill would allow agriculture companies to import 500,000 new workers each year, under the supervision of the business-first Department of Agriculture, and it would grow the cap 10 percent whenever the food industry runs out of H-2C workers. Skilled H-2C workers can stay for three years, and unskilled H-2C workers could stay for 18 months. Both categories could return to work after a 45-day visit home. Those long residency periods would provide the industry with a resident population of roughly 1 million foreign workers. Those long residency periods would provide the industry with a resident population of roughly 1 million foreign workers. Initially, the roughly 500,000 illegal immigrants now employed by the industry could be hired while also being exempted from the 500,000 cap. Also, workers hired under the H-2A guest-worker programs — at least 160,000 in 2017 — would also be given H02C permits but would be exempt from the 500,000 cap. In the H-2C bill becomes law, the resulting flood of cheap and exploitable workers would drop labor prices to minimum-wage levels and would end the growing pressure for automation on farms in California, Wisconsin, Washington State, Maine, Vermont and Oregon and other states. This cheap-labor would leave U.S. farmers falling further behind their rivals in Europe and South America, where companies are using modern management techniques to beat American competitors. For example, this 2012 video shows cheap-labor being used to harvest onions in Vidalia, Georgia. U.S. farms are also falling behind in the use of robots. In Chile, for example, one farming company has bought 64 European-designed cow-milking robots for 4,500 cows. In contrast, the biggest U.S. buyer of farm-robots is a farm in Michigan which has bought only 24 cow-milking robots. Similarly, Asian agricultural companies are building automated urban, non-polluting glasshouse-farms, close to their workforces and their customers. Some U.S. companies are building similar “vertical farms” in urban factory buildings, so helping raise wages for urban workers. New Jersey Gov. 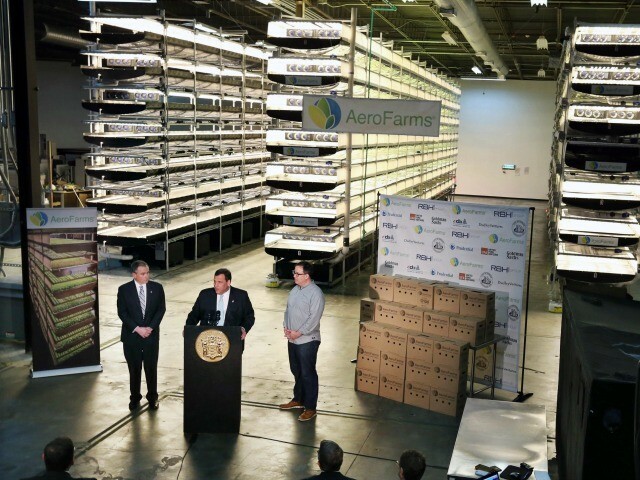 Chris Christie answers a question during a gathering at AeroFarms, a vertical farming operation, Thursday, March 24, 2016, in Newark, N.J.